The European Commission on Thursday (7 December) stepped up pressure on the Hungarian government of Viktor Orban over migrant quotas, NGOs and a school associated with US billionaire George Soros. The EU executive said it was also taking Hungary, plus the Czech Republic and Poland, to court over their defiance to comply with an EU decision in 2015 to relocate refugees based on a quota. In addition, the commission is also taking Hungary to court over amendments to its higher education law that targets the Budapest-based Central European University. The school was founded by the Hungarian-born financier George Soros, against whom the Hungarian government has been running a highly-controversial campaign. The commission is also suing Hungary over another law, which obliged NGOs in Hungary that receive funding from outside the country of more than €24,000 annually to give details about their funding, and show in all their publications that they are "foreign-funded". 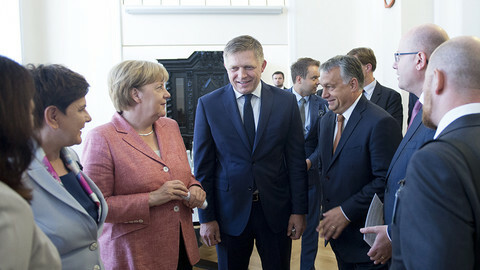 The Czech Republic, Hungary and Poland did not participate in the relocation scheme conceived in 2015 at the height of the migration crisis. Hungary, the Czech Republic and Slovakia voted against the relocation mechanism at the time. Hungary, along with Slovakia, challenged the 2015 decision's legality, but lost that case at the Luxembourg-based European Court of Justice in September. "We will present our arguments to the court and hope for a positive outcome," Hungary's foreign minister Peter Szijjarto told reporters in Brussels. 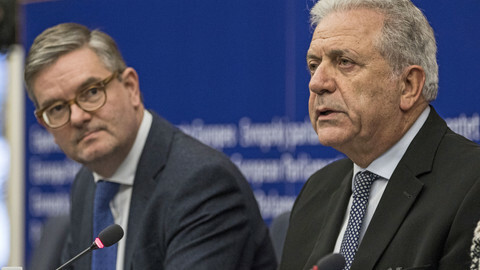 "The quota decision is unfeasible, it is unenforceable within the Schengen zone [of open borders] to make migrants stay in a country designated for them," Szijjarto added. He argued that only 25 percent of the original number of migrants to be relocated within EU countries actually have been, 'proving' that even member states that supported the scheme were not keen to accept refugees relocated from Greece and Italy. "It is an infringement of our sovereignty that we should not be allowed to decide whom we are going to live with," he added. Other officials added the commission's move was curious, because the scheme has already expired. Poland's foreign minister Witold Waszczykowski said "Nothing has changed, our position remains the same – we do not agree with the relocation decisions." But the quota program remains a key divisive issue among EU countries. The commission has also stepped its legal probe into Hungary's strict asylum legislation. The EU executive is also taking Hungary to the ECJ over its laws on NGOs adopted in June. 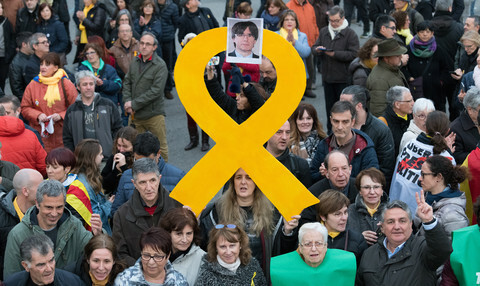 The commission says the legislation "indirectly discriminates and disproportionately restricts donations from abroad to civil society organisations", and violates the right to freedom of association. 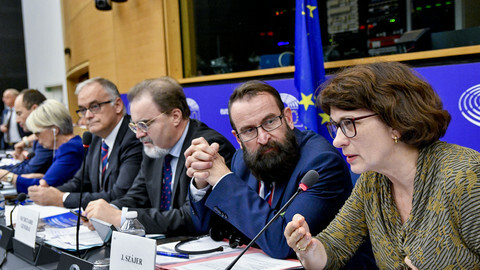 Marta Pardavi, co-chair of the Hungarian Helsinki Committee told a European Parliament committee on Thursday that the NGO law "does not increase transparency", but "stigmatises civil society groups" in Hungary that dare to speak up against government policies. She also pointed out that the NGO law has been modelled on a Russian 'foreign agent' law. The EU executive is also taking Hungary to the court over the higher education law, amended in April, that critics said aims to stifle the Central European University (CEU) founded by Soros. The commission said in a statement that the law "disproportionally restricts EU and non-EU universities in their operations and needs to be brought back in line with EU law". 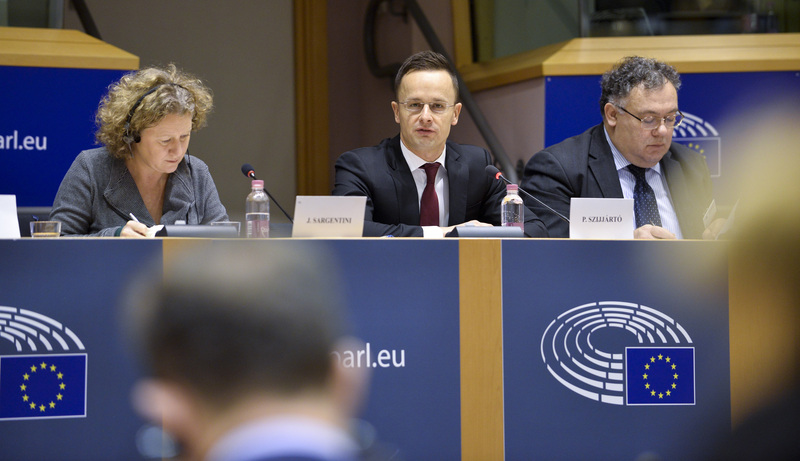 Separately, the parliament's civil liberties committee held a hearing on the deterioration of democracy and rule of law in Hungary. The committee was asked by the parliament to draw up a report recommending whether the parliament's plenary should trigger the 'Article 7' sanctions procedure against Hungary. A similar report is being drawn up in the case of Poland as well. Green MEP Judith Sargentini, the rapporteur for the Hungary report, said she plans to have a draft report ready by March. However, the two-hour hearing, instead of focuing on rule of law issues, quickly descended into a debate about migration - a favourite topic of Orban's government. Szijjarto claimed that the civil liberties committee has been supporting a mandatory quota system in dealing with migrants, inspired by Soros. 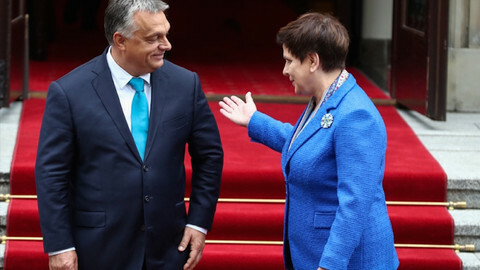 He said the reason why the European institutions have singled out Hungary for pressure is not because of rule of law, but that Hungary's government has not been supporting the EU's asylum policy. "We have nothing to feel shameful about when it comes to rule of law and democracy," he told reporters after the hearing. He claimed the parliament's report has probably have been already written, and will echo Soros's position on asylum. Liberal MEP Sophia in 't Veld urged the European People's Party - Orban's political family - to kick out Hungary's ruling party, Fidesz. 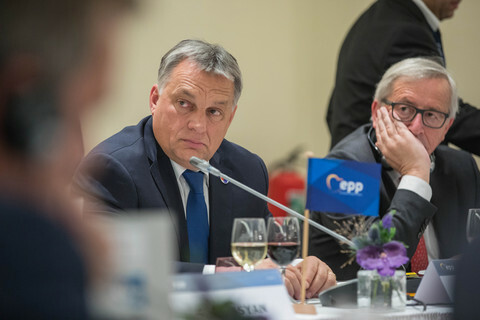 "In a democracy there is pluralism, and that is what Orban wants to kill. 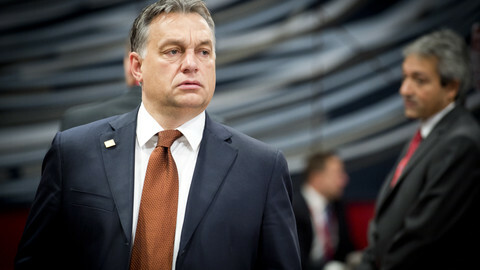 For eight years Orban has been stifling opposition, criticism, it is a fake democracy," she said. Despite the court procedures and the parliament hearing, the EU has been struggling to address its concerns about Hungary's democracy and Orban's autocratic tendencies. The EU has few tools to sanction its member states that infringe EU values on rule of law: it can look into whether specific legislation is in line with EU rules or can trigger the Article 7 procedure that can end up in suspending the member state's voting rights. While the commission has said that in Poland, where the government's undemocratic moves have also raised alarm, EU rules and values are under systematic threat, that is not the case with Hungary. "The situation in Hungary is not in that sense comparable to the systemic threats to the rule of law which we see in Poland," Timmermans said, announcing the Commission's decision to refer Hungary to the court. "The commission now does not see a need to move to another track," Timmermans added, referring to the Article 7 procedure. Hungary's foreign minister called the EU court's decision to reject a complaint over migration quotas "outrageous and irresponsible".